Sabi Sands Game Reserve on the south-western corner of the Kruger National Park, enjoys the highest and one of the most bio diverse wildlife populations in the whole of Africa. This 65 000 hectare reserve is adjacent to the Kruger National Park and the game roam freely between both the Sabi Sands Game Reserve and the Kruger National Park. Maintaining an integral environment ensures constant animal populations remain the same all year around. There are two perennial rivers, the Sabi and the Sand which flow through this game reserve and sustains the unique diversity of the fauna and flora in the bushveld. This ensures the genetic diversity within an integrated biodiversity in the entire 2.7 million hectare protected area, as the animal migration is limited between the two game parks. Presently, the area is in the process joining with protected areas in Mozambique and Zimbabwe. This is in line with the Peace Park concept and will open the fences between the borders of other countries. This will create a huge Transfrontier game park where the animals will be able to enjoy natural migration which til now has been limited by border fences. Sabi Sand Game Reserve as is most of the other parks in South Africa, is administered by a Warden who reports to the Park Management Committee. The reserve dates back to the 1950's where the sharing of a common environmental management programme initiated the dropping of the internal fences. Landmark pioneers in the 1920' and 1930's who were owners initiated the conservation of the area's wildlife that is still in place today. Due to these forefathers who loved and cared for dwindling wildlife which was being destroyed by farm owners, six of these families who are now third and fourth generation landowners still look after their forebears treasure.Their living legacy still carries on today and Sabi Sand game reserve is possibly the best area in which to view southern Africa's extensive biodiversity and bushveld. All the lodges within the Sabi Sand game reserve are able to offer exceptional game viewing of all of the general game species, as well as the popular game animals, due to considerate game viewing taught to the field guides in the reserve. Clients always remain within the open game viewing vehicles and the animals have top priority in their home. There are a large amount of leopards in Sabi Sand, which are legendary in this area. Given sufficient viewing time in this area, animals such as lion, rhino, elephant leopard, cheetah, giraffe, buffalo, zebra and a vast variety of antelope and other species can be seen. 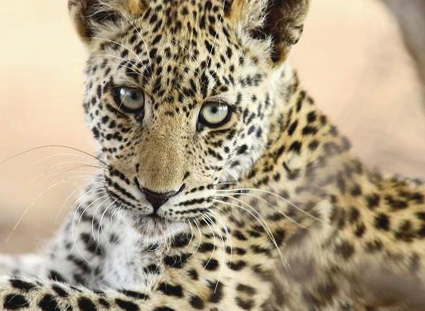 Leopards, naturally, are a big attraction of a lot of guests to the Sabi Sand Game Reserve. When viewing a leopard in the Sabi Sand game reserve, leopards are used to vehicles nearby and the field guides can follow a leopard off-road though the bush. Sabi Sand game reserve hosts some of the most exclusive private game lodges in the country. Seeing the famous Big 5 (lion, rhino, leopard, buffalo and elephant) in their natural habitat is an amazing gift to give yourself once in a lifetime in this legacy game reserve.